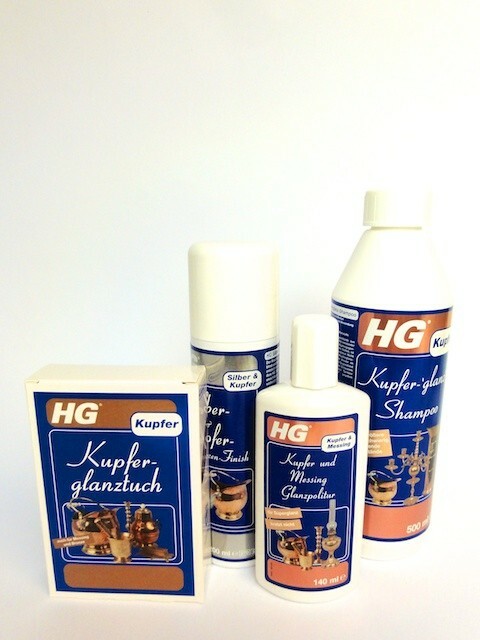 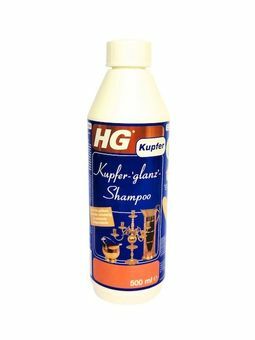 Apply some HG Copper Shine Shampoo on a damp sponge, and wipe object to be cleaned. Rinse with cold water, and dry surface with lintfree cloth. 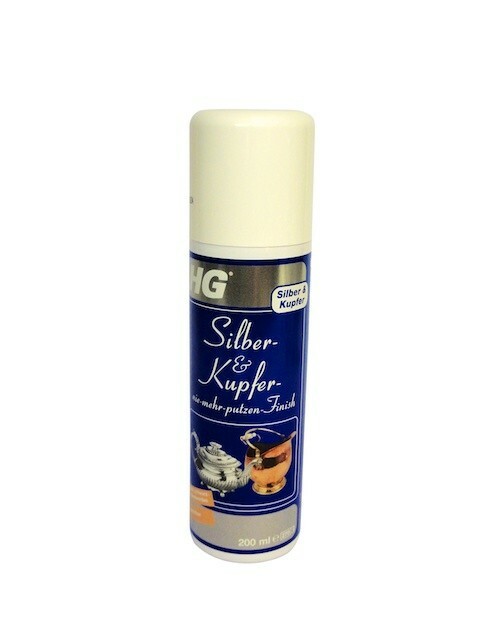 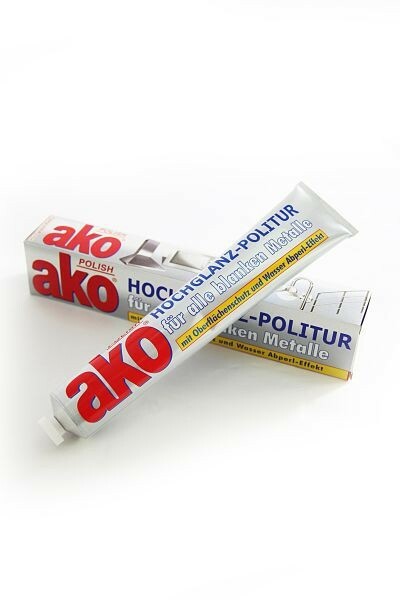 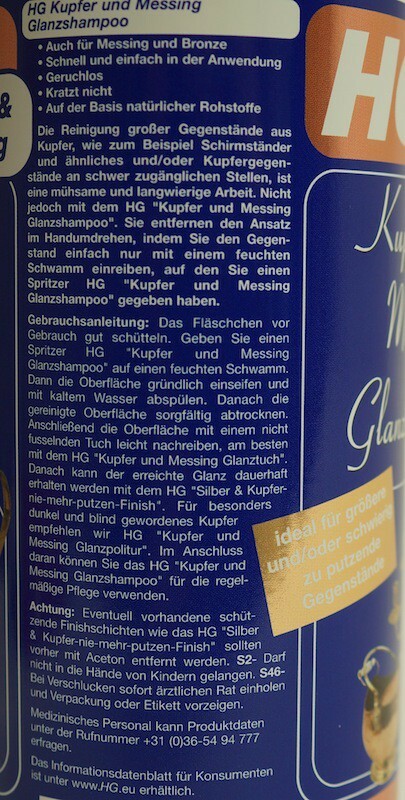 For regular maintenance use HG Silver & Copper Polish No-More Finish. 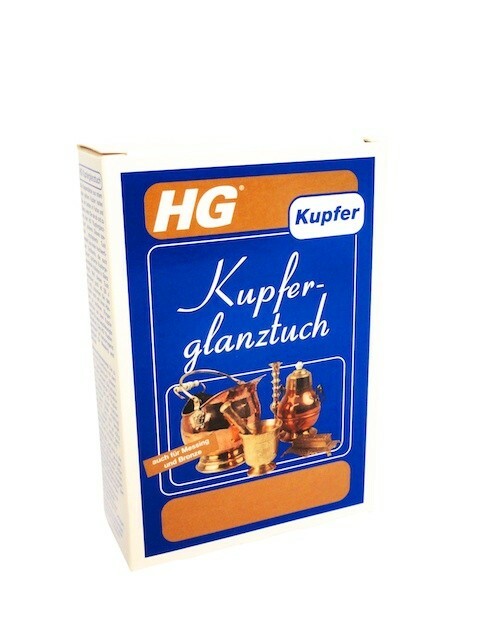 Exeptionally dark or dulled copper should be cleaned with HG Copper Shine Finish first. 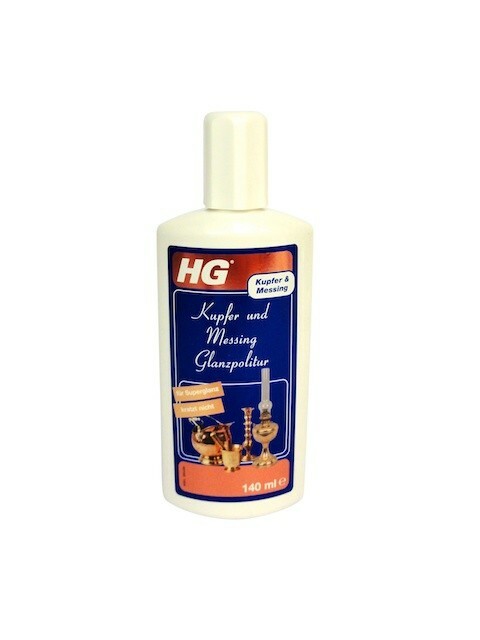 To clean large copper,brass or bronze objects, that are difficult to get at, or jobs that are large and boring.